We provide practical help to those in need through vouchers for essential commodities such as fresh food, heating, household necessities, baby formula and nappies, baby equipment and children’s clothing. We do not want to make people dependent on us so can’t help too regularly or in large amounts. We also provide practical help to those in need by providing items from our foodbank. This is the best way we can help as we have very generous donors and usually a well stocked cupboard of essential store cupboard items such as tea, cereal, pasta, tuna, soup, beans, vegetables, fruit, puddings, jam, biscuits, sugar and squash. Even when we are unable to help in any other way we are usually happy for people to take items from our foodbank. In January 2019 we appointed Rose Hall as our Life Skills Co-Ordinator. We’d like to find out what skills our clients that come to Guernsey Welfare would like to learn. Please look out for our questionnaire available shortly and tell us the sorts of things that would be useful to you. Some ideas we have include: making your money go further, cooking on a budget, simple sewing skills, fun holiday ideas for the family. We plan to start short courses from April onwards so keep a look out for more information. The Rotary Club do a wonderful job each year of organising the Tree of Joy where members of the public can purchase gifts providing Christmas presents for children who might not otherwise receive much. We are pleased to support their work by acting as an agency forwarding nominations for such children and distributing the gifts to our clients. If you would like us to nominate your child to receive a gift at Christmas, please call into the office during opening hours between 1st September and 31st October and we will have a chat and ask you to complete a form. 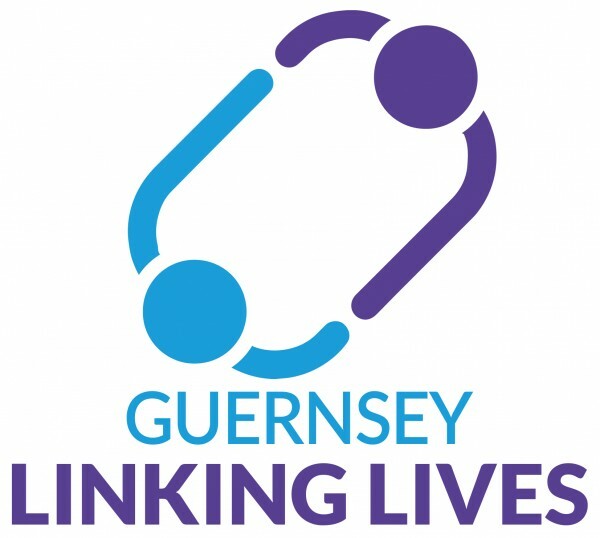 Guernsey Linking Lives is a befriending service run by Guernsey Welfare Service. It is aimed at those over 60 who find themselves requiring some extra friendship and support and has been set up using the model of a UK charity. The Linking Lives Scheme seeks to match trained and vetted volunteers with an older person who would like to see a friendly volunteer visitor on a regular basis for around an hour. The Parent Empowerment Programme is about travelling together on a journey of change. We believe that everyone with the right support and help can develop the mindset to be able to make lasting and meaningful change. Your past does not have to define who you are or dictate your future. PEP is a weekly group with some time for parents and children to be together and some time for parents to have space to talk whilst their children are well cared for. Each member of PEP attends the group with their children and is encouraged to think of how their week has been from their child's point of view as well as considering their values and goals. The group is facilitated by a Pscyhologist and a Community Worker and is for parents with children under the age of 2 though older siblings can join in during the school holidays. Committed, regular attendance is essential. If you or someone you know would be interested in joining the Programme you should speak to your Health Visitor in the first instance. We are working in partnership with Action for Children to offer the Nightstop service in Guernsey. Nightstop recruits volunteer Hosts who can provide emergency accommodation for 1-3 nights for a young person aged 16 to 25 who finds themselves without a place to stay. If you are interested in being a volunteer Nightstop host please contact us. We don’t push our faith or expect that you will have the same beliefs as us but we are a Christian charity and recognise that when people are struggling financially they are often struggling with many other things as well. We are always happy to discuss our faith or to pray with you if you would find that helpful. There are also some booklets available in the waiting area which you might find bring comfort or hope. We act as a signposting service and information centre, pointing people in the direction of other community services, charities or States departments that may be able to assist them. From time to time we liaise directly with these other agencies on behalf of our clients if their situation is more complex and they require a mediating body. We seek to function as a ‘listening ear’, to make ourselves available to those in genuine need and offer support and practical help to them through difficult times. For many years, we ran Happy Days pre-school on five mornings a week for children referred to by Social Services’ Health Visitors. These children would otherwise not have been able to access this valuable start to childhood development because of the cost of private pre-schools. Because of the introduction of free pre-school education by the States of Guernsey, Happy Days closed in July 2016.